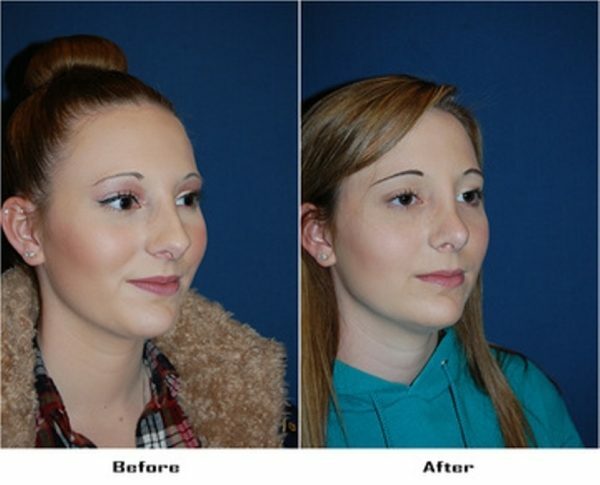 Teen rhinoplasty had been on the minds of three friends in the Charlotte, NC area for the past year. Beth had felt for a long time that her nose was just a little too prominent and full in the tip. She’d heard that you shouldn’t get teen rhinoplasty until you were at least fifteen if you were a girl or seventeen if you were a boy, but since she’d just (after what felt to her like a very long wait) turned fifteen, she felt that she was ready. Kayla had never had a problem with her looks until she came home from a skiing vacation with a broken nose that had healed almost, but not quite, perfectly. Now, whenever she looked in the mirror, she discovered the difference a tiny bit of asymmetry can make. And then there was Clarissa. She had always just felt vaguely self-conscious about her looks. Sometimes she felt like she was too fat, or the weight was in the wrong places, or there was something wrong with her hair. With both of her friends talking about rhinoplasty, she started thinking maybe her nose could use some work too. Before the teen rhinoplasty, the plastic surgeon sat down and talked with each of the three girls about what she wanted and what to expect from the surgery. In the case of Kayla, the conversation was a short one — thanks to the slight deviation in her septum from the skiing accident, she did need some surgery. Beth also needed surgery, but not quite the way she thought. Her chin was a bit weak, which made her nose look bigger than it was. A slight reduction in the size of the tip of her nose was enough, combined with a small and carefully shaped chin implant. As for Clarissa, what she really needed was help with body dysmorphic disorder. The rhinoplasty expert had to let her know that unless this issue was resolved, teen rhinoplasty was unlikely to bring lasting happiness with her appearance. Charlotte and your son or daughter wants teen rhinoplasty, schedule your appointment today or ask for an online consultation so you can take advantage of the discount on the consultation fee.